We are always on the hunt for indoor activities designed for active kids, like my boys, especially for rainy days and/or cold winter days. 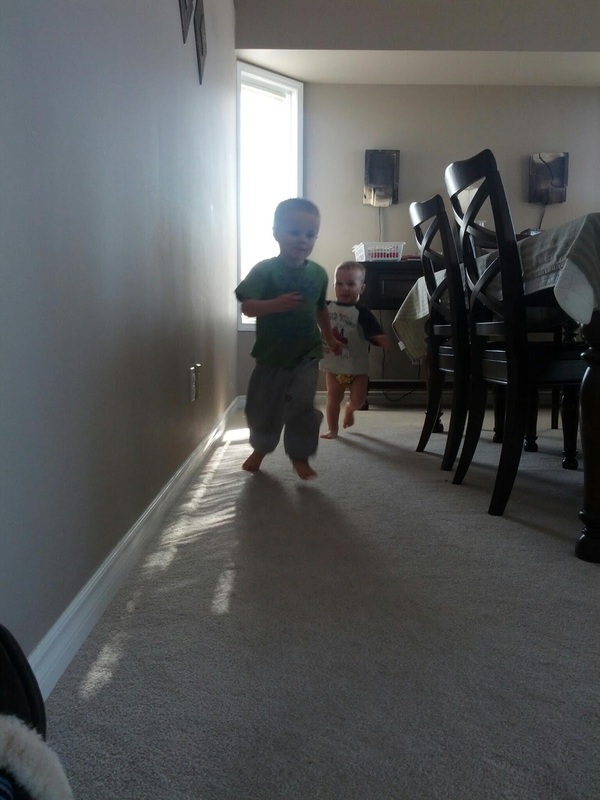 Kids like to run. They need to run. And I think it's great to give them a safe space to run, even inside your house. Well, our dining room just happens to be laid out perfectly for an indoor running track. There's lots of space on all sides of the dining room table and no obstacles. All we have to do is tell the boys to run and they will start running. Nearly every day after supper, J and K will spend a good 20-30 minutes just running around the table. 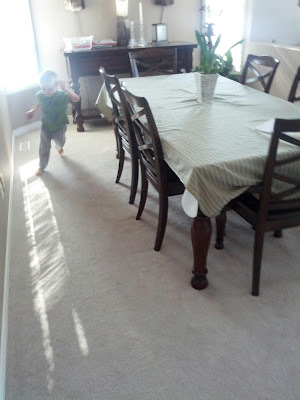 J often counts the number of laps that he runs or we take turns chasing each other around the table. J will also run holding a pedometer. 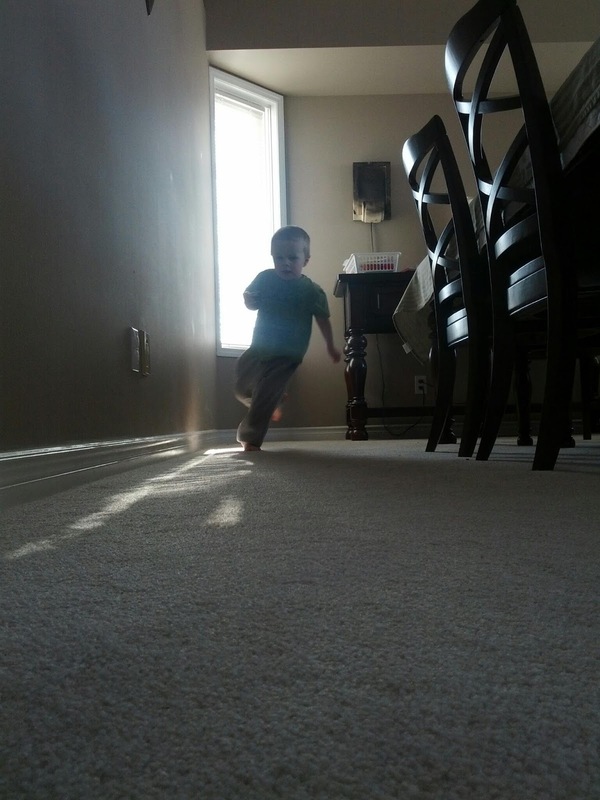 When he completes a lap, he will check the pedometer to see how many steps he has taken. They boys always get lots of exercise this way and J is becoming quite a fast runner. Look at him go! J running with the pedometer in his hand. I know that it's not always possible to have a designated running space in your house, but consider pushing couches and furniture out of the way to clear a space for them to run on those days where it's difficult to get outside. You could also make a start line and finish line using tape on the floor. Or turn it into a counting activity and have them count the laps that they run. Or encourage them to try other ways of getting around the track (e.g., crawling, crab walk, walking backwards, etc. ).